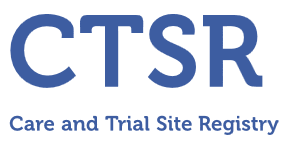 The aim of the Care and Trial Site Registry (CTSR) is to help the pharmaceutical industry and clinical investigators select trial sites as well as to help to identify potential partners for upcoming research projects. The industry and academic institutions have shown quite an interest in the data in the CTSR for their feasibility studies for clinical trials. 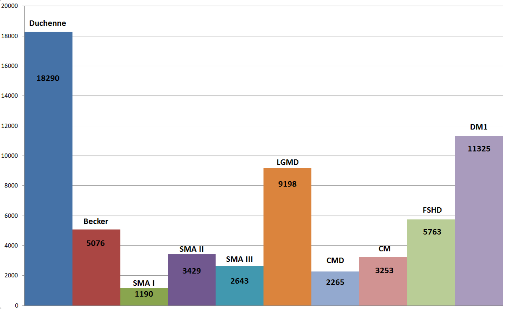 Eighteen official requests for site identification, often in combination with TREAT-NMD patient registry information, were received between 2009 and 2015. Depending on your speciality as a centre, the CTSR questionnaire will lead you through questions that are shared between the two fields of diseases and those that are specific for NMD centres or NDD centres, respectively. Registering is free of charge. To see a complete list of the sites in the CTSR click here. One of the major organizational hurdles to overcome before initiating a clinical trial is identifying those trial sites capable of recruiting enough patients and offering a specific standard of care and experience in clinical trials. The concept of establishing a Trial Site Registry providing information on personnel, facilities and patient population was born to help pharmaceutical industry and clinical investigators select trial sites, and to help to identify potential partners for upcoming research projects. The CTSR was established in 2007 as one branch of TREAT-NMD. As a partner of TREAT-NMD one of Germany's leading Departments of Neuropaediatrics and Muscle Disorders at the University Medical Centre Freiburg set up the CTSR for neuromuscular diseases (NMDs). Since the beginning of 2013 the CTSR expanded to cover the field of rare neurodegenerative diseases (NDD) as a branch of NeurOmics. NeurOmics is funded by the European Community's Seventh Framework Programme and focuses on research on 10 major disease categories out of the disease fields of NMDs and NDDs. The CTSR is a flexible database and has been continuously expanded with more items and is now also functioning as a database of care centres providing information to health professionals and patients seeking specialized centres worldwide. As of November 2017, 350 centres for NMDs and/or NDDs in 52 countries have joined the registry. Originally planned as a registry of potential sites for multi-center clinical trials, the database has attracted significant interest from industry and academic institutions. 22 official requests for site identification, often in combination with TREAT-NMD patient registry information, were received between 2009 and 2017. We are looking forward to extending the success of our CTSR into the field of NDDs, and foster interactions between researchers among both fields of diseases. The content published on this website including the questionnaire and data entry system has been developed by the University Medical Center Freiburg within the TREAT-NMD Network and is subject to copyright laws. Any utilisation without prior explicit approval by the University Medical Center Freiburg is in violation of the German Copyright Act. Copies and downloads to facilitate data entry are permitted. For any other use please contact ctsr-info@uniklinik-freiburg.de.